No plans to support Windows 10 or Mobile says Sonos! If you’re a Sonos user who is also a Windows 10 Mobile user, then chances are a Sonos app has been on your mind for quite some time. Well, best to remove it from your mind: Sonos has confirmed it has no intention of creating an app for neither Windows 10 Mobile nor Windows 10. The company could easily create a Universal Windows Platform app that runs across both Windows 10 and Mobile. 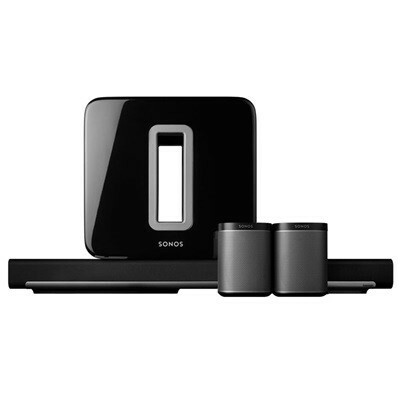 However, this is also not something Sonos is interested in doing. It’s a huge blow for folks who have been petitioning the company for the past three years for some sort of app. Some of you have been asking about a native Windows Phone controller app for Sonos, and we’ve been slow to provide a clear answer. We’re sorry about that. The truth of the matter is that up until now we’ve been unclear internally on this very question. In fact, it’s been the source of many passionate debates because we recognize that some Sonos owners are also Windows Phone users. In the end, however, we’ve made a decision that Sonos is not going to build a Windows Phone 8 app nor are we planning to build a Windows 10 “universal” app. We’ll, of course, continue to support the Windows desktop controller. We’re big fans of the work Microsoft is doing across many areas, including mobile, voice control, AI, VR and of course the Groove music service, available on Sonos. We know this is super frustrating for Windows Phone owners anxious for more native apps on the platform, but like other companies we’ve had to place our bets. Our focus right now is on Voice and Paid Streaming Services, and we’re exploring quite a few innovative ways to experience and control your music – on your device and off. We’ll be sure to keep this group informed of our progress. Thanks, Kenneth,” according to Sonos. It seems strange for Sonos to abandon over 270 million computer users who have upgraded to Windows 10. Nevertheless, this number will grow substantially, so only time will tell of Sonos will continue with this decision.